Posted on February 28, 2015	by Katy K.
I read all of the Cybils easy reader finalists that I could get my hands on for the Armchair Cybils (hosted as always by the lovely Amy of Hope is the Word) and I thought I should maybe tell you about them. I have put in purchase requests, but not yet received, the winner and two more of the finalists, but these are the ones I was able to read. I’m putting them in order from lowest to highest reading level. Easy readers are an especially tricky sort of book, as they have to walk a very careful line to stay easy enough for their target audience to read without being boring. I have seen a lot of failed easy readers, but these are all excellent. 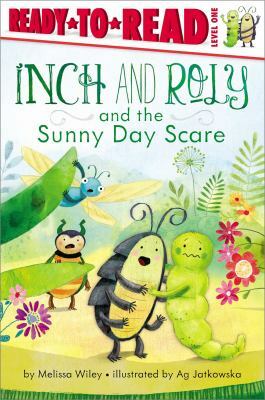 Inch and Roly and the Sunny Day Scare by Melissa Wiley. Illustrated by Ag Jatkowska. Simon Spotlight, 2014. There is a strange object in the garden, and the assortment of tiny creatures who live there investigate it with a good deal of trepidation. Each, from the titular Inch the inchworm and Roly the roly poly to Beetle and Dragonfly, has his or her own interpretation, but it’s not until they put their observations together that they can figure out what’s going on. 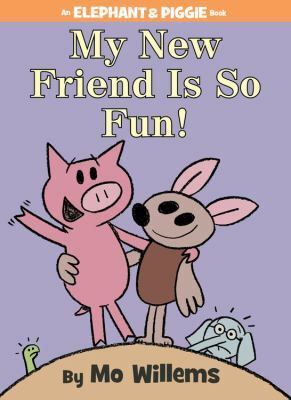 This is that rare and valuable book, a truly early easy reader builds both tension and humor while staying approachable for the youngest readers. The illustrations are what my daughter likes to call adorable. My New Friend Is So Fun! by Mo Willems. Disney-Hyperion, 2014. Elephant and Piggy are back! I don’t know how Willem keeps coming up with story ideas that are so deeply funny while exploring real childhood fears, all within the easy reader framework. In this outing, Elephant Gerald and Snake are nervous because Piggy is off playing with Snake’s best friend, Brian Bat. What if Brian Bat were to replace Gerald as Piggy’s best friend??? What if Snake loses his best friend, too? As always, Willem’s art conveys worlds of emotions with a few simple lines. 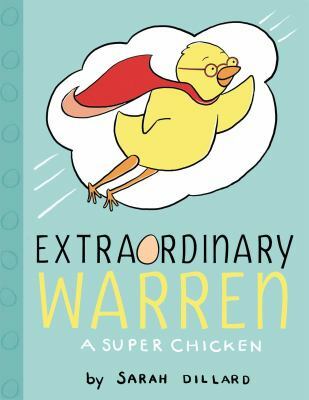 Extraordinary Warren by Sarah Dillard. Simon & Schuster, 2014. Warren is a chick who dreams of a life beyond the barnyard. Sadly, even though his fantasies are bigger than those of the other chicks, he can’t even get off the ground in flight class. But when a too-friendly fox comes by offering all the chicks dinner, Warren’s imagination might just save the day. The simple but expressive illustrations fit this story of an everyday hero just perfectly. This is told in short chapters of sequential panels, and kept in the graphic novel section rather than the easy reader section at my library. But whether you consider it a graphic novel or an easy reader, it’s a great story. My daughter and I both very much enjoyed it. 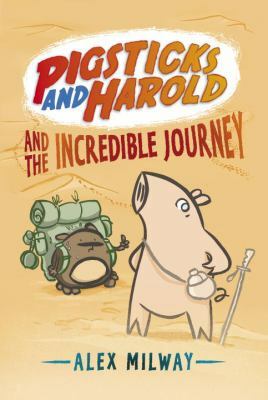 Pigsticks and Harold and the Incredible Journey by Alex Milway. Candlewick Press, 2014. This is another one where the Cybils judges and my library disagreed as to classification – we have it in our early chapter book section rather than the easy readers. I’d say it is right in between. It has chapters and is 68 pages long, but the type is bigger than most early chapter books, and there are lots of full-color illustrations. The story is (again, hooray) both exciting and very funny. Pigsticks is one of a long line of famous pigs, bent on making his mark on the world. He’s chosen to be an explorer, but decides that he needs an assistant. He hires the mostly unwilling hamster Harold to carry his abundant luggage, convincing him with promises of eating mostly cake along the way. This entry was posted in Books and tagged Armchair Cybils, award winners, Cybils, easy readers. Bookmark the permalink.